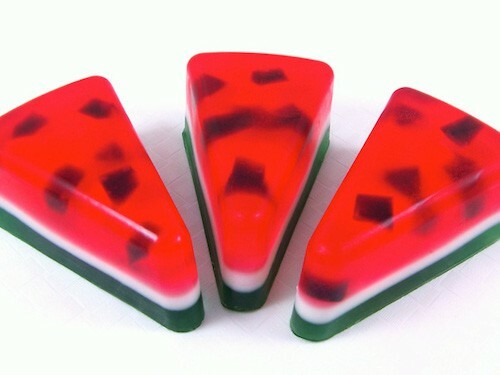 Watermelon makes me think of summer! Get creative with one of these 12 inspirational watermelon crafts – so fun and festive! 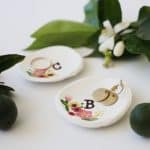 There’s something about the red and green with little black seeds that makes the cutest pattern when it comes to crafts! 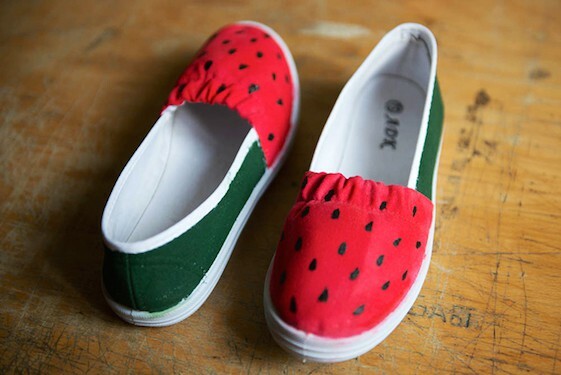 I squeal every time I see watermelon crafts, and my guess is if you are reading this post that you do too. 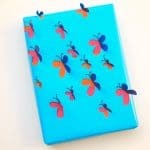 I’ve got 12 of the cutest projects ever that will get you inspired, and you’ll be green/red/black dot painting things in no time. Ready to see the best watermelon crafts ever? Just scroll down! The watermelon pattern on the outside of the fruit is actually hard to get right, but Allison nailed it. I love that you don’t have to be accurate with dyeing to be successful at this tote (b/c I’m not the best dye-er in the world). 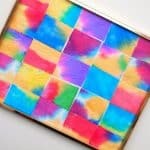 This craft is pretty brilliant, and all you need is a wood box and some paint. Even mason jars can get a watermelon makeover – and Angie has the video how-to. Plain, white slip ons get an awesome summer makeover. I love getting handwritten notes, especially when they are on watermelon themed cardstock with cute envelopes. 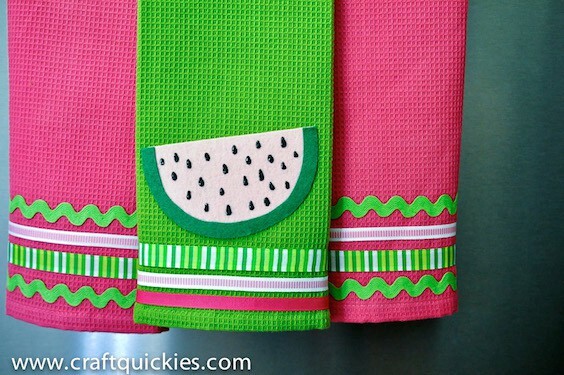 Add a cute watermelon applique to hand towels – no sewing required. Watermelon shorts are easy to create with pink and green fabric dye, and I love the addition of the green tie on the opposite leg! These soaps look like they might be difficult to create, but they are actually easy with the great tutorial! 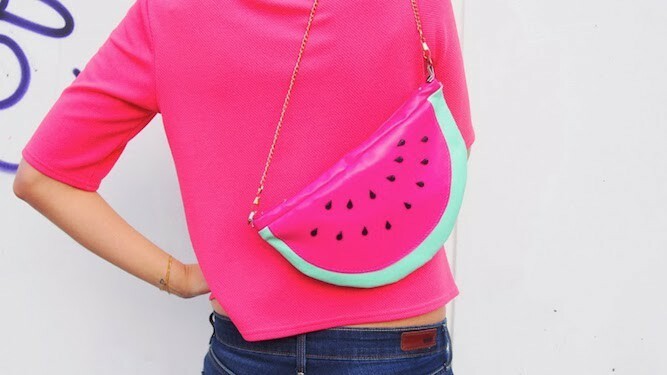 If you are looking for something that says fruit AND fashionable, make a watermelon purse out of faux leather and rhinestones. If you know how to crochet, I’m jealous, because this is the coolest scarf pattern ever! 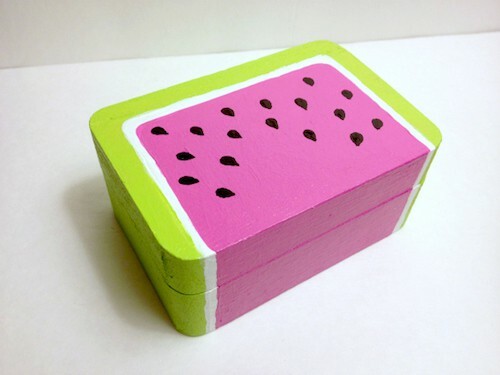 You too can make a watermelon decoration using scrap wood and Mod Podge. Isn’t it sweet? How to make a watermelon at How Does She? I once bought a house that had some green striped wall paper in the kitchen. I like red and decided to decorate my kitchen in watermelon theme. It has grown now from that beginning to 3 kitchens later quite a menagerie. 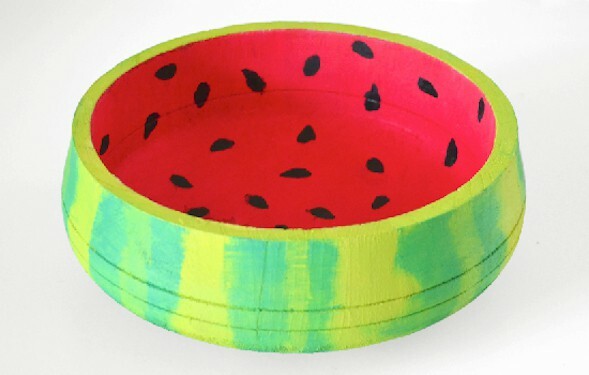 I have painted some wood bowls to look like watermelon as well as wood plates, one with a chip that made it look like a bite out of watermelon. Love watermelon, the fruit and the decor. Thanks for the cute ideas.